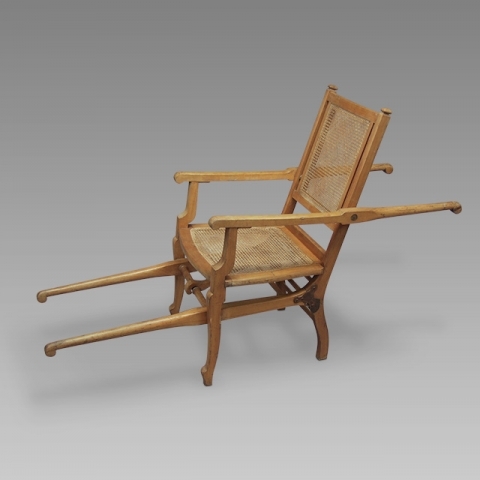 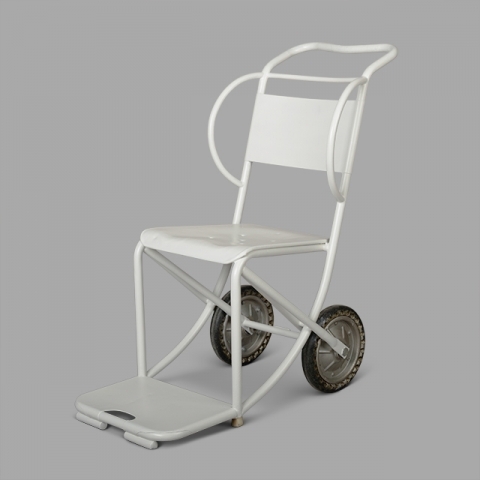 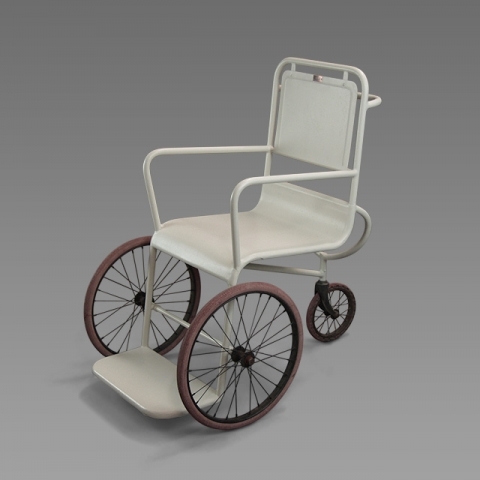 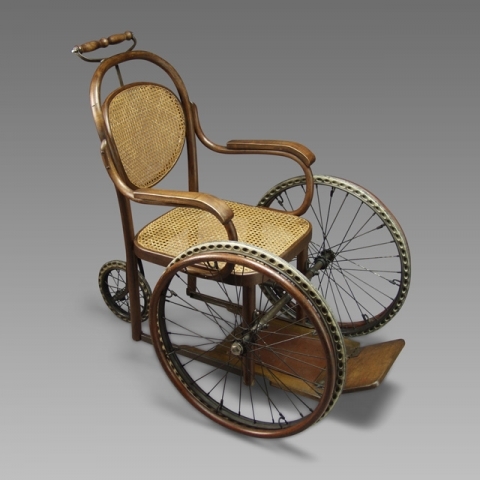 This antique wheelchair was manufactured in France by G. Poirier during the late 1920s. 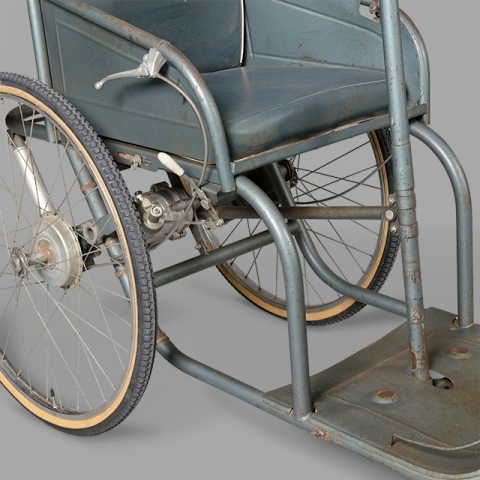 These were primarily used by injured WWI soldiers and people who suffered from polio. 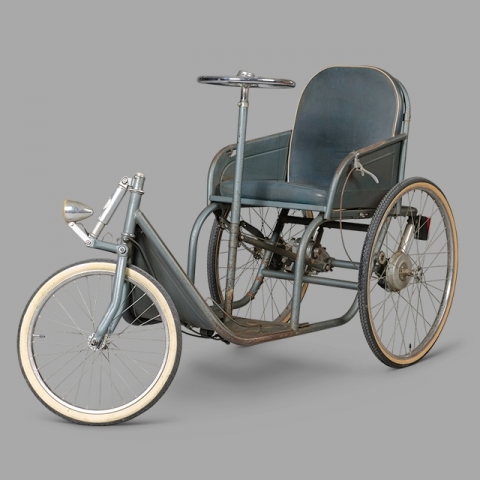 Forward motion is obtained by pushing the steering wheel backwards and forwards. 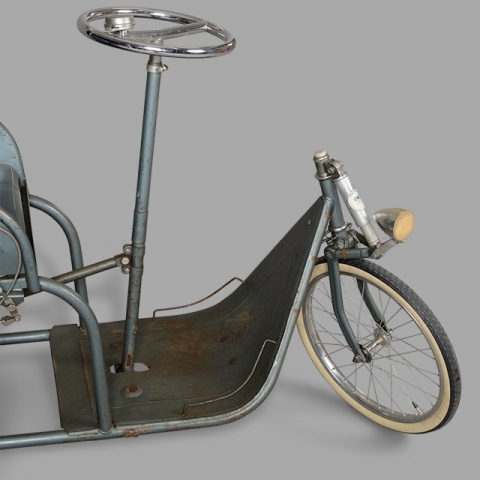 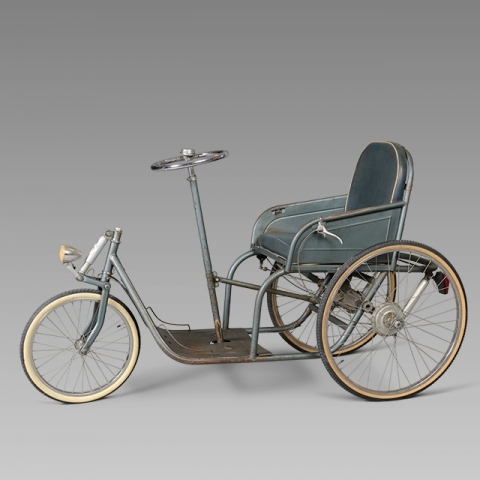 This "Voiturette Poirier" is complete and the set of tyres is new.